Apple made a lot of visual changes in release 10.10 (“Yosemite”) of Mac OS/X. One of the most obvious was to change the system font, as used throughout the desktop, from Lucida to Helvetica. A lot of people love Helvetica, so presumably they were happy. Others were less satisfied, leading to a little rush of code and articles to help you switch the system font back to Lucida or to some other font that happens to appeal. But these people are missing the point. The substitution you want to make is not to your own desktop, but to that of your most type-conscious Mac-using Helveticaphile friend. And it is to switch the system font from Helvetica to Arial. Delightfully, you can do this without needing admin privileges—no password required, all you need is to get control of their keyboard for a couple of minutes. $ cp '/Library/Fonts/Arial.ttf' '/Library/Fonts/Arial Bold.ttf' . 3. The above should have created two new font files, in the current directory, called System Arial.ttf and System Arial Bold.ttf. Make these available somewhere you can easily retrieve them on your friend’s machine (shared in the cloud or whatnot). 4. On your friend’s machine, when you see the opportunity, retrieve the System Arial.ttf and System Arial Bold.ttf files and copy them into the $HOME/Library/Fonts directory. You must be logged in as your friend to do this, as it must be their home directory whose font library you are copying into. And you’re done. The change will only take effect for apps started after the fonts have been installed, or globally from the next login—if you want to make it happen immediately, I’m afraid you’ll have to log your friend out. Now, see how long it takes them to notice. For best effect, engage them in conversation about how clean and elegant Helvetica is, with reference to their own desktop. Several of my Qt-based applications, including Sonic Visualiser and Tony, have some menu actions attached to single-key shortcuts without a modifier key. Examples include the Space bar to start and stop playback, or the “f” key (without Ctrl, Alt or any other modifier) for zoom-to-fit. While testing the update from Qt 4 to Qt 5.1 we found that some of these shortcuts were no longer working on the Mac, though they still worked on other platforms. Hoping this would be fixed in a Qt update, I decided to stick with Qt 4 for the official Mac builds of Sonic Visualiser for the time being. As of Qt 5.3.0, though, the problem still wasn’t fixed and I decided I couldn’t avoid it any longer. 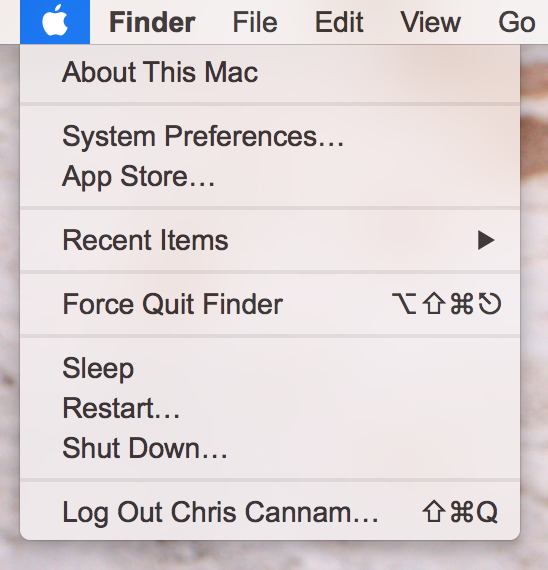 Qt on OS/X does not (in general) handle menu shortcuts itself. It creates a native Cocoa menu and lets Cocoa’s Key Equivalents mechanism handle them. Key Equivalents apparently do not work reliably for shortcuts without modifiers. Before Qt 5.1, any menu shortcuts that Cocoa did not handle would drop through to Qt’s cross-platform layer and be handled as window-level shortcuts bound to a QAction instead. So the single-key shortcuts continued to work even though Cocoa didn’t handle them itself. This broke in Qt 5.1 because of this commit which was applied to fix this crashing bug. The problem was that some menus that should have been inactive (because a modal dialog was overriding them) could still be activated erroneously from the keyboard through this fallback shortcut mechanism. There is an open Qt bug about the single-key shortcut problem and it contains a partial workaround. This works as far as it goes, but it doesn’t check the action’s enabled status (and nor does the action’s trigger slot) so it’s possible to use this to invoke an action that is supposed to be disabled. 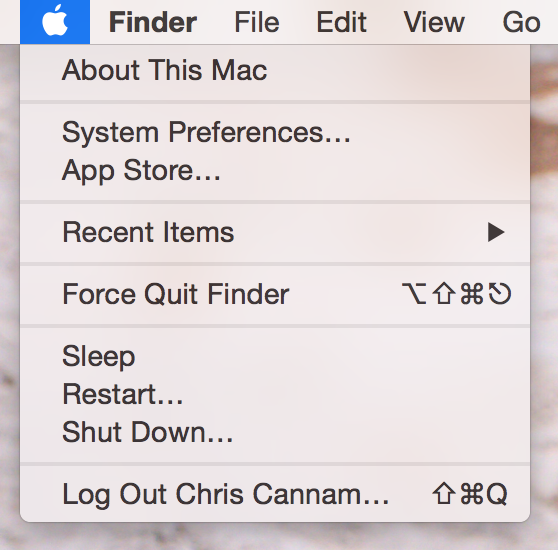 I then call finaliseMenu on each of the menus returned by findChildren<QMenu *> from the main window’s menuBar() object. There may be a simpler way: let me know if you can see one. Can you develop research software on an iPad? Apart from using the terms “post-PC”, “touch tablet”, “app store”, and “cloud” a disgracefully large number of times, this article sets out a problem that’s been puzzling me for a while. We’re increasingly trying to use, for everyday computing, devices that are locked down to very limited software distribution channels. They’re locked down to a degree that would have seemed incomprehensible to many developers ten or twenty years ago. Over time, these devices are more and more going to replace PCs as the public idea of what represents a normal computer. As this happens, where will we find scientific software development and the ideals of open publication and software reuse? I recognise that not all “post-PC” devices (there we go again) have the same terms for software distribution, and that Android in particular is more open than others. (A commenter on Twitter has already pointed out another advantage of Google’s store that I had overlooked in the article.) The “openness” of Android has been widely criticised, but I do believe that its openness in this respect is important; it matters. Perhaps the answer, then—at least the principled answer—to the question of how to use these devices in research software development is: bin the iPad; use something more open. But I didn’t set out to make that point, except by implication, because I’m afraid it simply won’t persuade many people. In the audio and music field I work in, Apple already provide the predominant platform across all sizes of device. If there’s one thing I do believe about this technology cycle, it’s that people choose their platform first based on appeal and evident convenience, and then afterwards wonder what else they can do with it. And that’s not wrong. The trick is how to ensure that it is possible to do something with it, and preferably something that can be shared, published, and reused. How to subvert the system, in the name of science. Any interesting schemes out there? I think the radical nature of his observation has to do with the replacement of the desktop computer in dedicated labs—the iPad is already widely proposed and increasingly adopted as an assistance to learning for pupils outside the computer suite. Viewed close-up, this seems like a good thing. iPads are generally cheaper, more reliable, and easier to get to grips with than traditional PCs, are portable enough to be used across teaching disciplines, and make a wide range of software very easily available. and that these computers would be used as a standard teaching platform across all disciplines, and would also be the platform on which computing as a subject was taught to children. How would that have sounded?